Note: This Bigfoot Gun Belts belt buckle does not include the two directional snaps. We include a complete set of pre-mounted hardware in each gun belt order. Capture the new flat black roller buckle from Bigfoot Gun Belts, a rugged and tactical piece of hardware that’ll easily attach to your premium leather gun belt. 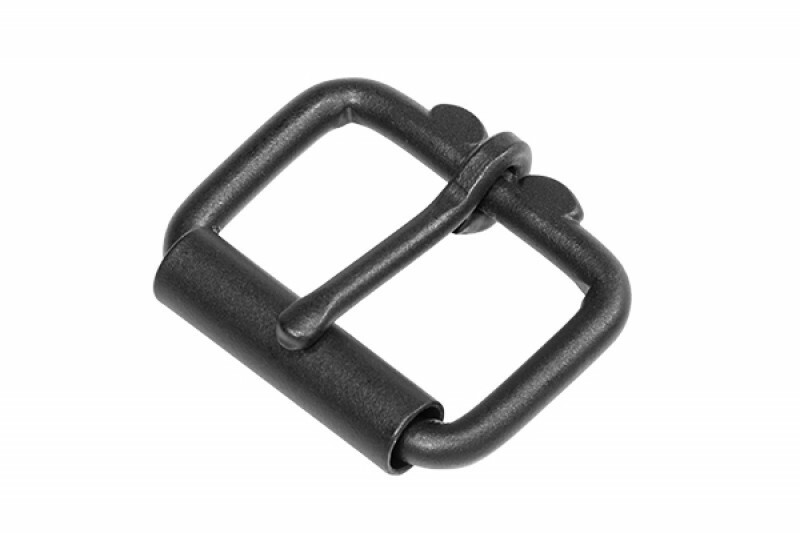 For just $7.00, you can quickly swap out your standard steel roller buckle for this new sleek and chemically coated roller buckle. And as you can see, this option pairs perfectly with both the rich brown and classic black leather. To swap out your premium roller buckles, begin by unsnapping the directional snaps securing the hardware to your sturdy gun belt. Next, you’ll want to slide out your standard steel roller buckle and replace it with your fresh new flat black roller buckle. Once in place, finish by pressing the directional snaps together. Now you’re all set! 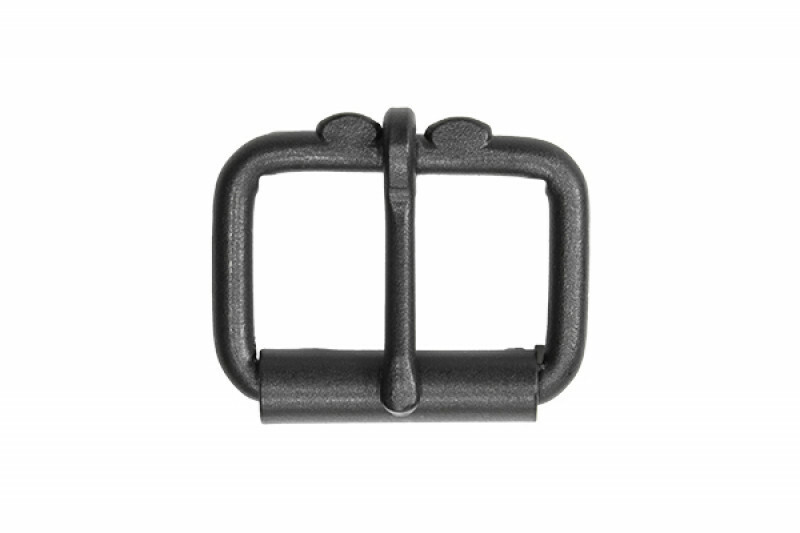 This flat black roller buckle is made with the same amount of care and attention to detail as the rest of your handmade gun belt. You’ll also notice how well the flat black pairs with both English Bridle leather options. Both colors are drum dyed and veggie tanned in order to achieve the look open and concealed carriers appreciate in a premium leather gun belt. Everything, including the new flat black hardware series, is tough as nails. Made with a steel base layer, your premium roller buckle is both scratch and water resistant, so you can rest assured it’ll hold up through the years. Like everything we produce as a company, we back our craftsmanship with a limited 1-Year Warranty and 7-Day Test Drive. So try out the durable new flat black belt buckle for a week, and if you're not fully satisfied with your sturdy gun belt, sent it back for a refund. We'll be happy to reimburse you.